1. Under the distance selling regulations 2000, you, the consumer, has the right to cancel any contract of sale within 7 days of placing your order. 2. Out of Stock products: On rare occasions, some of our products may be temporarily out of stock. If this happens we will immediately contact you, to offer you, the option of either placing your arrangement on a back order, until the products become available or a refund of the purchase price. If you decide to wait for the requested product/s to become available, at this time we will also be able to give you an indication of availability. 3. Some of our products may vary slightly in colour from the images shown due to the clarity of the actual picture. 4. Prices advertised on our website are correct on publication of the website page. We reserve the right to withdraw any product from sale without notice. Prices quoted on most of Green Fields Digital Sorts Technology products include VAT and delivery charges, it will be indicated if the product page if a delivery charges are excluded delivery charges, this will be shown on the payment page. Goods sold on this site, are not on a trial basis. 5. We accept Paypal payments (no fees for buyers). 6. Goods remain the property of Green Fields Digital Sports Technology until they are paid for in full. 7. Refunds will only be accepted within 14 working days of receiving your goods. Please contact us as soon as possible and within this timeframe. Refunds will not be accepted after this time. 8. Goods which are not eligible for a refund include bespoke corporate branded products, individual personalised products. Once purchased, these products will not be refunded. Goods sold on this website, are not on a trial basis. 9. All non-personalised or non-corporate branded products must be returned unused and in good condition as they were sent, in their original protective packaging, as sent by us, and return postage paid in full by the customer. Please contact us prior to posting so that we are aware of your returned items. 10. 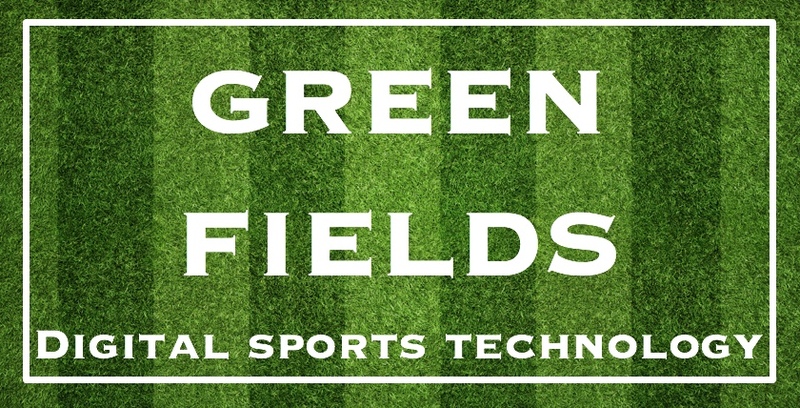 Green Fields Digital Sports Technology. cannot be held responsible for returnable items lost or damaged in the post. Therefore, we sugguest that you obtain a certificate of posting/proof of posting, or send the item(s) to be returned by ‘Signed for’ Delivery. This delivery method benefits both parties (you as the customer and us – Green Fields Digital Sports Technology) because this provides proof of delivery, and when we sign for the returned goods on arrival we are in fact accepting that we have received the returned goods. 11. Please note that refunds against a Euro cheque payment will not be issued until cheques have had bank clearance (only accepted for Republic of Ireland customers). 12. Although Green Fields Digital Sports Technology are not responsible for damaged items delivered by our courier partners. Please contact us within 24 hours of receipt of your order so that we can investigate the problem with our delivery Agent. If you do not report within this timescale we may be unable to investigate further or take the appropriate required. 13. If you have not received your order and Accessories within 7 days of our dispatch confirmation email, then please contact us. However, prior to contact, please check if a courier delivery card has been left via your letter box as our courier delivery agent may have tried unsuccessfully to deliver your order. 14. If you do have a complaint, you should contact our Customer Services Department by email: info@greenfieldsdst.com. We will acknowledge your complaint within 48 hours and aim to resolve any disputes within 7 working days. Our Customer Service Department online hours are 10-3pm Monday to Friday. Our Terms and Conditions of Business are designed to provide a safe environment for you to shop online. Your Statutory Rights are not affected.